A move to an independent living opens up a world of opportunities. At Clearwater at Riverpark, our mission is to ease the transition and introduce you to the joys of sophisticated senior living community in stunning Oxnard. Our community features remarkable views of the nearby Topatopa Mountains and easy access to beautiful beaches. Your one or two bedroom apartment puts you close to fabulous shopping, dining, and entertainment at The Collection Riverpark, and moments away from the seaside pleasures of our beautiful coastal city. While a dedicated team of associates takes care of the chores and home maintenance, residents are free to explore and enjoy their passions and interests. Clearwater at Riverpark, an independent senior living community, is all-encompassing of what it truly means to successfully age within an engaging environment. Choose your own lifestyle within our community whether you want to start a walking club, meet a new neighbor at Happy Hour or take a class in our Art Studio. 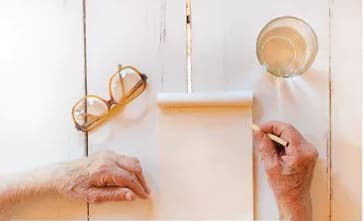 Staying connected and engaged with your community has been known to make the aging journey a positive experience according to research produced by Dr. Roger Landry in partnership with the American Seniors Housing Association. Find yourself at home in our lovely independent living community at Clearwater at Riverpark. Enjoy your freedom and age successfully among friends at Clearwater at Riverpark. Bring your cats and dogs to live with you at your Independent Living apartment in Oxnard, CA. 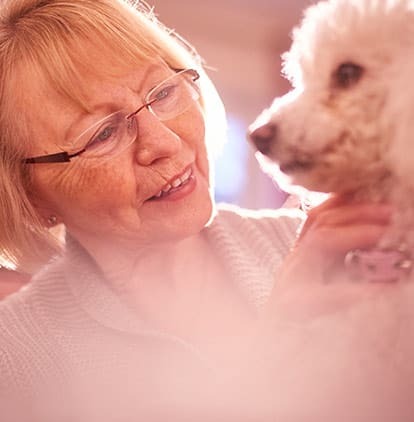 Pet care and assistance are available at an additional cost and all pets are subject to approval by the Executive Director. Expand your horizons at Clearwater at Riverpark. Call us or contact us online to schedule a tour of our independent living community.